Burry Port Lifeboat Station (near Llanelli, Carmarthenshire, Wales) first opened in 1887, with all funds coming from a legacy left by Mr and Mrs Barclay. 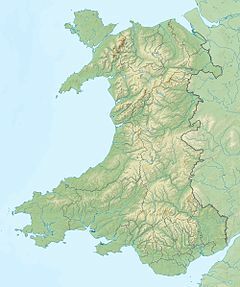 The station was moved to Burry Port, due to the original lifeboat based at Llanelli being deemed too far away to be helpful; and the previous station based in Pembrey put at risk due to storms. The station was closed for over half a century between 1914 and 1973 as it was deemed un-needed by the RNLI. In 1973, due to an increase in drowning incidents in Carmarthen Bay, the RNLI decided to reopen the station and allocate it a D-class (EA16) lifeboat. In 2002 there was a Coast review, in which it was agreed that a hovercraft may be stationed at this station, and also that a B-class (Atlantic 75) lifeboat would be stationed here as well. ^ "RNLI - Tenby Lifeboat Station". Retrieved 11 May 2014. ^ "Burry Port Lifeboat". Retrieved 11 May 2014.